In 2009, Simon Sinek started a movement to help people become more inspired at work, and in turn inspire their colleagues and customers. Since then, millions have been touched by the power of his ideas, including more than 28 million who've watched his TED Talk based on START WITH WHY — the third most popular TED video of all time. 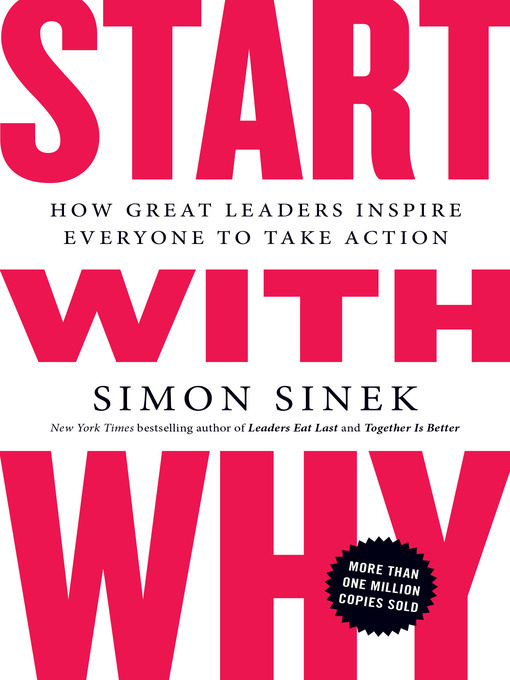 START WITH WHY shows that the leaders who've had the greatest influence in the world all think, act, and communicate the same way — and it's the opposite of what everyone else does. Sinek calls this powerful idea The Golden Circle, and it provides a framework upon which organizations can be built, movements can be led, and people can be inspired. And it all starts with WHY.